Prominent & Leading Exporter from Nagpur, we offer kabidarba injection darbepoetin alfa injection, septasteril sachet alpha ketoanalogue sachet, darilong 7.5mg tablet , darifenacin and myfortic 360 mg tab mycophenolate sodium. Kabidarba 40 Injection Is Used In The Treatment Of Anemia Due To Chronic Kidney Disease And Anemia Due To Chemotherapy. Kabidarba 40 Injection Is An Erythropoiesis-Stimulating Agent (ESA). It Works By Stimulating The Bone Marrow (Soft Tissue Inside The Bones Which Produces Red Blood Cells) To Produce More Red Blood Cells. Backed by a diligent team of professionals, we have been able to process and supply an outstanding range of Septasteril Sachet. 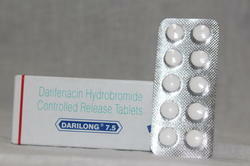 Darilong 7.5 Tablet Er Is Used In The Treatment Of Overactive Bladder (Oab) Symptoms. Oab Is A Collection Of Urinary Symptoms, Including Frequent Urination, Urgent Need To Urinate, And Inability To Control Urination. Take This Medicine In The Dose And Duration As Advised By Your Doctor. Swallow It As A Whole. Do Not Chew, Crush Or Break It. Darilong 7.5 Tablet Er May Be Taken With Or Without Food, But It Is Better To Take It At A Fixed Time. Darilong 7.5 Tablet Er Is An Antimuscarinic. It Works By Relaxing Muscles Of The Urinary Bladder To Prevent Frequent, Urgent Or Uncontrolled Urination. What If You Miss A Dose Of Darilong Tablet Er? If You Miss A Dose Of Darilong 7.5 Tablet Er, Take It As Soon As Possible. However, If It Is Almost Time For Your Next Dose, Skip The Missed Dose And Go Back To Your Regular Schedule. Do Not Double The Dose. Myfortic 360 Mg Tablet Is Used For Prevention Of Organ Rejection In Transplant Patients. 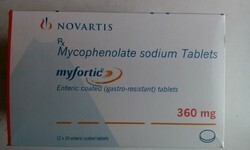 Myfortic 360 Mg Tablet Is An Immunosuppressant. It Reduces The Action Of Body'S Own Defense System (The Immune System) And Prevents Rejection Of The Transplanted Organ.